(Updated Feb 8): APPA-award-winning Melbourne-based commercial photographer, Lisa Saad, has been accused of including appropriated elements from work by Dutch architectural photographer, Marcel van Balken into a prominent image in her current portfolio. 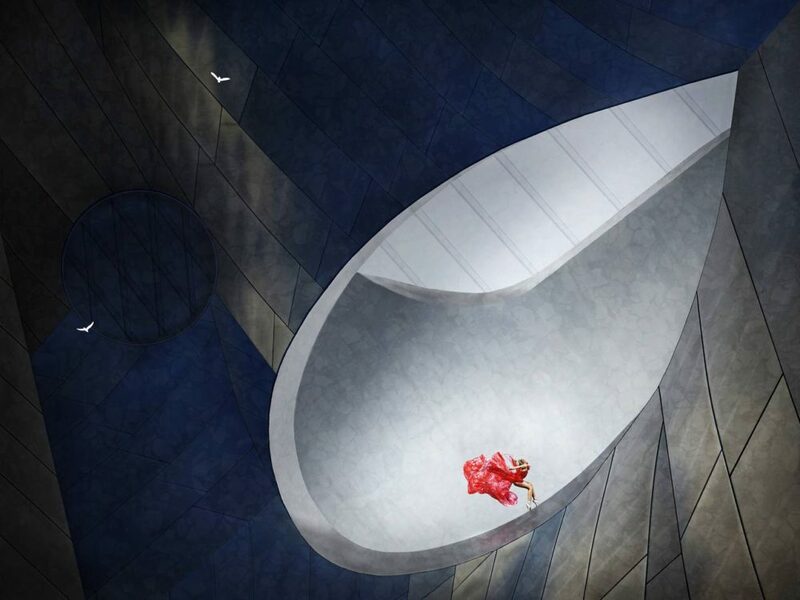 Lisa Saad has been accused appropriating elements from an work by Dutch architectural photographer, Marcel van Balken in this AIPP-award winning photo illustration. The Australian Institute of Professional Photography (AIPP) is currently reviewing the allegations, and the process may take up to two weeks before a finding due to the ‘complex-multi-element digital illustration employing photographic elements’. In the meantime, the AIPP has responded to ‘significant comment in social media’ with a press release addressing the issue (published below). 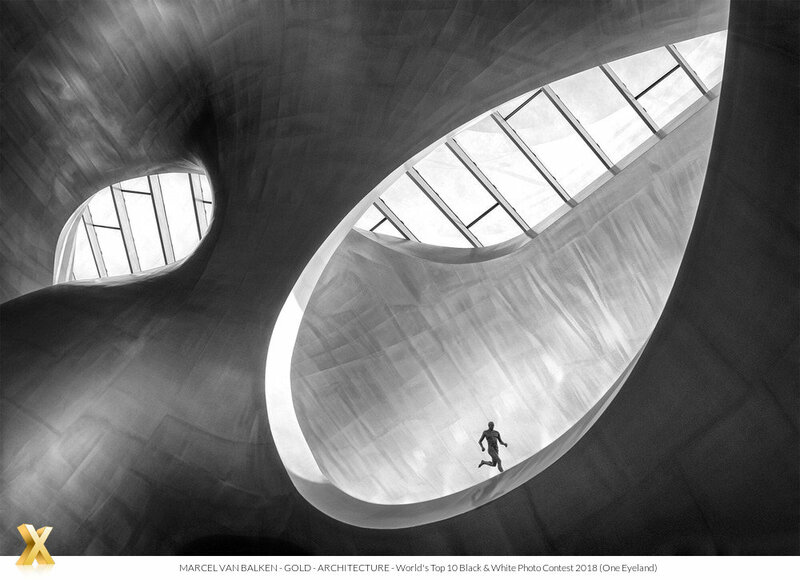 Marcel’s image, Runner, is a photo illustration made using images of a detail of a modern railway station, Arnhem Centraal, in The Netherlands. Marcel told Inside Imaging he made the image in October 2017, and he has shot 70 pictures of the location with RAW files. He said that Lisa didn’t contacted him to arrange use of his image for her photo illustration. Lisa denies her image incorporates his image. Marcel said he contacted Lisa, who provided a ‘strange explanation’ that denied any wrongdoing. He said she didn’t send a RAW file, and instead shared a .PNG screenshot of a slightly different photo from Arnhem Station, with separate EXIF files. He quickly found this picture on Google, credited to another photographer. Since then there have been reports that Lisa now claims the image was based on shots of the Disney Concert Hall in Los Angeles. There’s striking similarities between the two images – same location, focal length, and composition, with similar light and shade. They have been circulated around the Australian photo industry by an anonymous reader, who contacted Inside Imaging a week ago. The reader noted that Lisa’s image was first posted in mid-2018, and was part of her award-winning APPA Commercial Photographer of the Year portfolio, and included in a number of other portfolios. Lisa Saad is recognised as one of Australia’s top photographers, with an international reputation at stake. At the time this scandal broke, she had just returned from the SWPP convention in the UK where she presented a Masterclass ‘on how to conceptualise, design and edit images in Adobe Photoshop’, gained her Fellowship in Illustrative Photography – IFSWPP – and participating in judging. In 2016, Lisa won the AIPP Australian Professional Photographer of the Year as well as the 2017 and 2016 Victorian Professional Photographer of the Year prizes. Apart from over 200 awards to her name, Lisa is also an Ilford Master and a brand ambassador for Manfrotto, Epson, Phottix, Tamron and Eizo. Lisa responded to Inside Imaging‘s enquiries with a request to hold off from commenting extensively until the AIPP had made its decision. She noted that the image in question had been accepted by the Society of Wedding and Portrait Photographers, with a decision also pending from the WPPI. On the other hand, Marcel has gone public and the shared the accusation with Stop Stealing Photos, a website that names and shames people it believes are guilty of image theft. Stop Stealing Photos questions why Lisa has begun deleting the photo from her social media and website. It says the photo can now only be tracked down via a Google Reverse Image search, and viewed in cached form. The AIPP has also ‘disappeared’ the image in question from its website. Photo Stealers was contacted by Lisa Saad’s lawyers demanding it take down the posting, apologise and provide compensation. It’s perhaps a measure of Photo Stealers’ confidence its accusations are correct that it has ignored the legal demand, and since then accused Lisa of a second appropriation of a significant image in her portfolio. The individual behind the Photo Stealers website, US photographer Corey Balazowich, is adamant that she has never made a false accusation in the five years the website has been running. A photographer entering the AIPP State Awards or the national APPA contest makes several binding undertakings relating to sole authorship, that all photographic elements are their own and that all the images and elements have been made within two years. A proven breach results in varying degrees of penalty. In a case of appropriation such an instance would also be a breach of the AIPP’s code of conduct and may result in suspension, amongst other matters. Investigations of this nature are not always simple, especially in complex-multi-element digital illustration employing photographic elements. – John Swainston, National President For the AIPP.